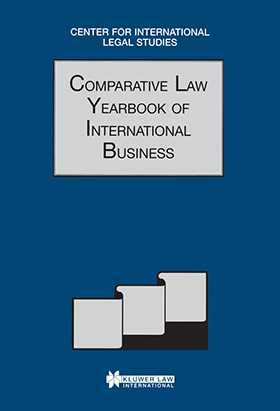 This volume contains sections on company law, dispute resolution, employment law, insolvency law, intellectual property law, taxation and finance and other general commercial issues. There are a number of chapters which tackle cross-border issues, such as taxation, jurisdiction and arbitration, while others concentrate on specific geographical areas, such as the Asia-Pacific region. Some authors explore problems in the workplace, including the reduction of the workforce and incidents of racial discrimination within it, issues of which all employers need to be aware. Also examined are those subjects which are ever-present in the life of a business, among them bankruptcy and insolvency, procurement, intellectual property, investment, contracts and other matters of company law. Other chapters comprise an in-depth look at the Vienna Convention on the International Sale of Goods, a highly specialized discussion of patent second medical use claims, an explanation of how criminal sanctions are being applied to crimes against the environment, a report of the devaluation and dollarization of an economy and an interesting insight into the effects of a nation's culture and traditions upon its legal system.